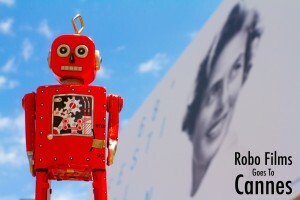 Raindance Top Traps #2 - Continuity from Robo Films on Vimeo. In the second video we tackle continuity. The first of our top traps was released through Raindance last week. 2. If you want your video to sound good you have to record the vocals properly. Recording a bunch of kids singing along to a track being played out of some speakers will sound exactly like that. A few years ago I recorded some tracks for a theatre school for the students to make video with. The videographer had no concept of how to make a music video. He simply filmed them singing along to the track live, in a hall. The sound was awful. All that work that had gone into mixing the track, getting a good EQ, just the right amount of reverb on the instruments etc, all gone. What you heard on the final video was the tinny, quiet, echo ridden sound of the track being played trough some speakers. So what do you need to get decent sound? Not a lot really. A microphone, some headphones and a free program capable of recording multiple tracks (such as GarageBand or Audacity) and you’re away. Having a microphone is important. You may be tempted to use the built in mic on your laptop or iPad but they’re so tiny that the sound will never be great. You don’t need an expensive mic – get a good old Shure SM58, you can’t go wrong with one of those (you can get them from about £25 second hand on ebay – and it doesn’t really matter that it’s a used model as I’ve found them to be pretty invincible). Headphones. When you record someone singing along to the track coming out of speakers you are effectively recording the track again as it is picked up by the mic. This will muddy the overall sound of the track. Instead of the original track and the vocals being on separate tracks you now have backing on one track and vocals + backing on another. This makes it hard to get a good mix. 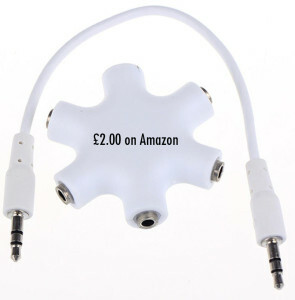 If you’re singing along to the backing through headphones then problem solved. Of course you may want to record more than one vocal and this could be a problem if you only have one output for headphones. Just get a headphone output splitter – they’re only a few pounds and you can plug about 6 sets in. Recording software. There are plenty of good free recording programs out there now and they’re very simple to use. They will give you the ability to mix all your separate tracks down to one final track to use on your video. Just hop on over to YouTube for some tutorial videos – they won’t turn you in Brian Eno but you will have now have the capability to record a good track. When you do import your backing track into the recording software, make sure it’s a good one. Here’s an example of a track I was sent to use as the backing for Little Shop of Horrors – it should have been called AUDIO OF HORRORS and sounded like it had been recorded in a toilet by someone holding a smartphone in front of a tiny radio. Fortunately I was able to find a replacement which still fit the key and the timing of the singing. And never forget, whatever you’re making SOUND MATTERS – don’t neglect it. Certain styles of shooting work great for some videos, but not for all. Here’s a classic example of someone trying to be edgy with deliberately shaky hand held camera works and drifting focus and it being totally distracting and unsuitable for the content of the video. 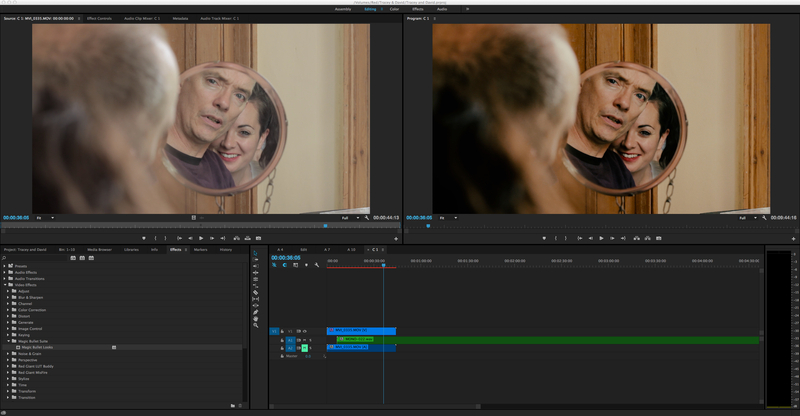 It’s important to spend time not just editing your footage, but also colour grading. The footage that comes straight from your camera (to the left) is usually low contrast and somewhat ‘flat’ looking. With a bit of work it can look like lovely luscious film. Been doing lots of work with Stage Coach schools recently. 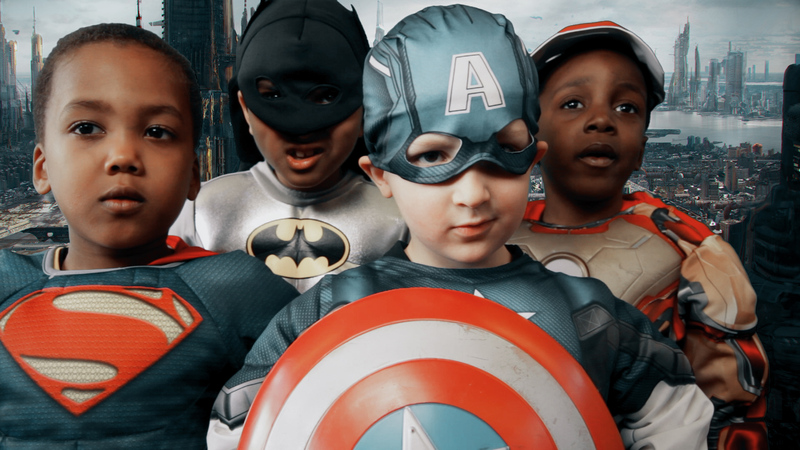 Check out these young superdudes. Robo Films is currently attending the Cannes Film Festival with our next short ‘The Sitter’ – screening in Short Film Corner. 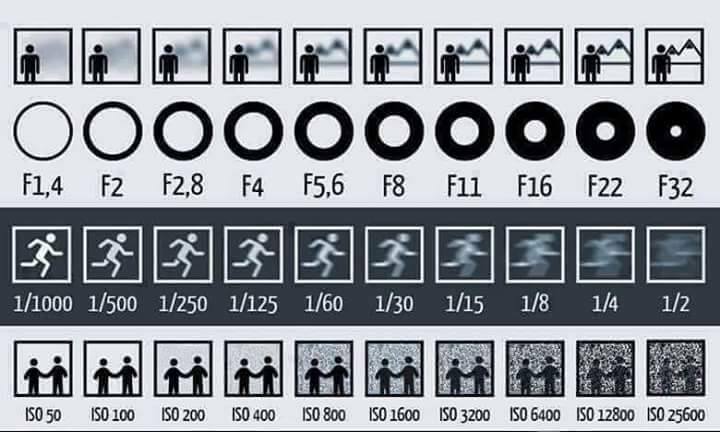 A very useful pictograph showing the effects of the iris, shutter speed and ISO. A video Robo Films made for Stagecoach last year has been used as part of a new anti-bullying campaign.